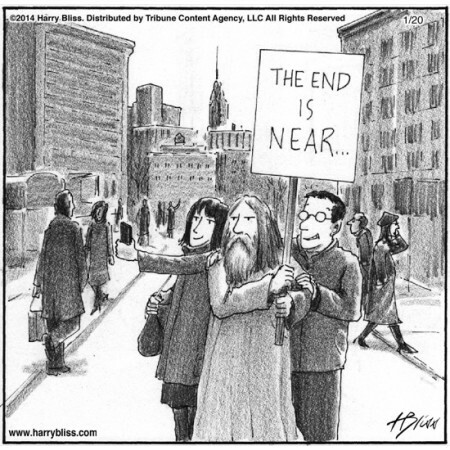 The cartoon posted above is just one reason why “the end is near”. It’s as though everyone on the planet is craving their 15 minutes of fame while they can still grab it. Perhaps everyone knows deep down inside that the world as we know it cannot continue on the current trajectory—a rapidly descending downward spiral. Clearly the status quo cannot be maintained in any degenerating sphere of life. Or maybe people even know that something very BIG is about to happen in the stock market, or the Middle East, or even in the solar system. Almost everyone seems to be clued into the swiftly closing window between now and Election Day. In view of all the meteoric changes and unexpected events taking place on planet Earth in 2018, many are still oblivious to the greatest challenges facing humanity today. The ever-present distraction of war is largely to blame for this debilitating societal phenomenon. So many citizenries have been conned into spending their hard-earned money on “guns instead of butter”. Then they permit their governments to wage unprovoked wars of naked aggression in their name and with their tax dollars. The Military-Industrial Complex that maintains the perpetual war economy is now hitting a wall since war as a means of conflict resolution is fast approaching a final crescendo…as in the curtain may soon come down for good. Nevertheless, that won’t stop the warmongers from attempting to trigger just one more World War. Not only does Deep State want war with Russia and her allies, many other BIG players want war as well. The following essay clearly delineates those other traditional stakeholders in the perpetual war economy, and especially in World Wars. The American political theater of war represents all that’s out of whack in the world today. It’s actually a non-stop kabuki theater inside the Beltway the closer anyone gets to the White House. The Deep State has ensured that government won’t work in the interest of We the People and so makes the job of the POTUS nearly impossible. The real problem with the state of American politics is that it’s irreversibly polarized with no hope whatsoever of being fixed, and only deteriorating further by the day. Why this is so very important is because of the USA’s prominent place in the world of men (and women). Anything that Washington decides to do (or not do) can be of great consequence to nations large and small. In point of fact, when the United States catches a mild cold, other parts of the world can come down pneumonia. Not only that, sometimes the smaller and powerless countries will actually die. (e.g. Iraq, Libya, Syria). So highly consequential are the foreign policy votes in the U.S. Congress that nations like the Ukraine can be plunged back into the Dark Ages. Others like Iran and Turkey, Venezuela and Brazil are being set up for yet another collapse. Back to political state of affairs of the American Republic, what else can be said at this late date except that the collapse will be much quicker than the fall of the Roman Empire. The following key points briefly inform why this is inevitable. The Democratic Party has proven beyond a shadow of a doubt that, both as individuals and as a group, they are completely unfit to govern. Not only are they unfit, they pose a clear and present danger to the American Republic. Beyond that, these ultra-liberal leaders were all instrumental in the building of the Obamanation as they sought to transform every major city into a veritable “Sodom and Gomorrah”. SES (Senior Executive Service) Democrats comprise such a large percentage of Deep State operatives that it’s practically impossible to ferret them out. Extreme left-wing liberals such as Nancy Pelosi, Maxine Waters, Elizabeth Warren, Kamala Harris, Cory Booker, Chuck Schumer and Adam Schiff who now dominate the party show that it’s essentially irredeemable. Then you have Obama and Hillary still leading their Obamabots and Clintonistas, respectively, as they make their final bolshevik charge up the Hill…as in Capitol Hill. And the Berniacs will be right behind them. The Republican Party — being full of Neocons, RINOs, Warmongers, Zionists, and outright traitors to the nation like John McCain was — will only serve the Military-Industrial Complex, not the U.S. citizenry. Each successive GOP administration has zealously ensured the further establishment of the National Security State. Toward that end, they’re also responsible for so many perils and unnecessary risks born by the American people (like war-making). Republican agents of Deep State like Lindsey Graham, Mitch McConnell, Paul Ryan, Ted Cruz, Marco Rubio and Tom Cotton wield far too much influence in Congress for the common sense Tea Partiers to be heard. Hence, the GOP will remain a huge impediment to a truly representative democracy while they zealously promote the perpetual war economy. The general lack of concern for the common folk and fervent support for the rich and powerful have made the Republicans insensitive to the plight of the average citizen. Given these profound and pervasive political realities, there is only one solution. The entire system needs to be reconstructed to meet the needs of a rapidly changing world, and especially the needs of We the People. What good is any government that only obscenely enriches the wealthiest and most powerful among US? The U.S. presidential election of 2016 has certainly served to right the course of the American ship of state. However, the Trump icebreaker is very close to hitting the Deep State iceberg. Therefore, it’s high time to begin to consider a new political paradigm as well as governmental structure. The current implosion inside the Beltway clearly reflects this dire need. This is why President Trump’s wrecking ball has been so effective; Deep State needed to be knocked down in order to make space for a new edifice—a U.S. Federal Government that is much smaller and really works. This is precisely why things are quickly coming to a head. Both sides in this epochal drama are truly facing existential threats. While it appears to be a winner take all situation, both sides are facing an ELE (extinction level event). Trump is merely the agent of destruction whose valuable experience as a NYC developer showed him how to knock down old buildings into their own footprint. Both establishment Democrats and Republicans detest Trump. They know that he is exposing the underbelly of the federal government like no one in US history. Not only have the MSM (mainstream media), FBI, DOJ, and CIA been outed as enemies of the people, so have other once-venerable institutions. If there is one reason why the state of American politics has deteriorated beyond the point of no return, it is the Washington Consensus. The wealthy elites first created and then ensured that every major American institution was run in the service of their very narrow agendas. In so doing, any individual or party or group that left the WashCon reservation would be banished to the political waterless region. Failure to follow the dictates of the Washington Consensus meant certain death for political leaders and government officials alike. This form of strictly imposed political correctness served as Deep State’s control mechanism and enforcement arm. Which brings US to “their final solution”. TPTB know what they must do to avoid arrest, prosecution and punishment. The sheer depth and breadth of their multi-century crime spree is simply too devastating not to warrant a very serious form of justice. Given this stark reality, the power elite have but only a few options still available to them. Unfortunately those life-saving alternatives are quite apocalyptic for the world-at-large. Nonetheless, the elites will proceed with their ill-fated schemes as described in the link below before the moment they feel they are about to be finally cornered. Deep State Does America—BIG TIME! These post titles only capture a few of the many monumental happenings which point directly to an upcoming epochal shift for the entire planetary civilization. Exactly what that shift will look like is anybody’s guess. However, once the first few dominoes start to fall, a cavalcade of events will unfold inexorably toward an inconceivable climax. This is what the 2012 meme was all about, except that it’s really 2018 that may be the real end of the Mayan Long Count Calendar. One major change is for sure about the immediate future and that is the following: Locus Of Global Power Shifts From The West To The East. No matter how hard the United States tries to prevent it, the reign of the once Almighty Dollar is over. Hence, the dominance of the Anglo-American Axis (AAA) is also history. And the extent to which each nation has aligned with the AAA will foreshadow its future place after the collapse of the petrodollar-based Global Economic & Financial System. 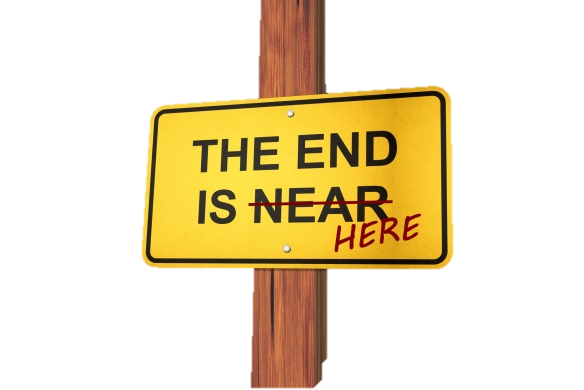 Since the end of World War II, it has been prophesied by prophets and predicted by psychics that “THE END IS NEAR”. With each passing decade, that statement rang truer by the year. With the 2016 election cycle, everyone knew we had entered uncharted territory. And so we have! What very few realize is that the most consequential events are actually taking place below the radar. While the global geopolitical chessboard is experiencing major moves and maneuvers out in the open, there are numerous clandestine events of considerable import occurring behind the scenes. When the dust finally settles, the whole world will seem to be in a very different place. Trigger Point: The 2018 midterm elections promise to be the most contested and chaotic in U.S. history. Because of what’s at stake for both political parties, each understands the party may soon be over for either party after November 6. In light of this eventuality, it’s quite certain that Something Wicked This Way Comes…Between Now And Election Day. The tumultuous Kavanaugh hearings and especially the Blaseygate scandal are just a sample of what’s about to unfold. There is much more about to explode both on the national scene and in the international arena that will cause the first dominoes to fall. Once that happens, anything goes from the USA to China, from Russia to the Ukraine, from Iran to Israel, and from the UK to the European Union.